The " Truax Family History " is currently under construction (2019).
" email me by clicking here " or at russpickde@comcast.net. The names shown in " MAROON " are the ancestors of our grandchildren Jeremy Christopher Truax, Jr., Gina Elizabeth Truax, Jered Allen Truax, Jason Edward Truax, Kaylin Marie Truax, Samantha Madison Truax, and Hannah Joyce Truax and all have a "separate" paragraph about that particular family member. The names shown in " PURPLE " are family members that are not "directly" related to them such as Uncles, Great Uncles, Aunts, Great Aunts, etc. and they, however, also have a "separate" paragraph about that particular family member. 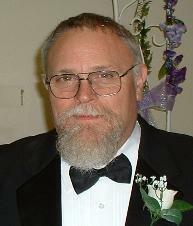 James S. Truax (1) is the senior family member known at this time. He was born September 22, 1811 near Smyrna, Delaware. His parent's names are currently unknown. He married " Mary Patterson " on August 11, 1839 in Delaware. She was also born in Delaware on May 9, 1819 and her parent's names are also currently unknown. ( 4 ) ~ Susanna was married to either " Joseph or Thomas Bradley " and they are believed to not have had any children. ( 7 ) ~ Benjamin was married twice and it is believed he didn't have any children. ( 9 ) ~ Robert married " Anna Laura Roberts " and is is unknown if they had any children. 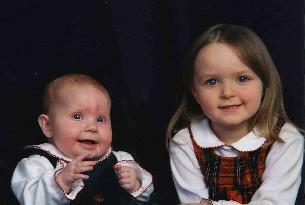 ( 10 ) ~ Sarah "Lizzie" passed away at the age of 5. John S. Truax (2) was born the 1st child and 1st son of James S. Truax (1) and Mary Patterson Truax on June 16, 1840 in Delaware. He married " Sarah Hargadine " on March 5, 1864 in Delaware. Sarah "Sallie" was born on February 10, 1843 the daughter of Samuel Hargadine and Mariam Irons Hargadine. Isaac Truax (3) was born the 2nd child and 2nd son of James S. Truax (1) and Mary Patterson Truax on December 19, 1841 in Delaware. He was married twice. He was first married to " Sarah Hoffecker " on January 25, 1868 in Delaware. She was born on March 13, 1849 the daughter of John S. Hoffecker and Sarah E �Sallie� Simpson Hoffecker. Sarah Hoffecker Truax passed away at the age of 39 on January 18, 1889 in Philadelphia, Pennsylvania at the Pennsylvania Hospital for the insane and was interred in the Glenwood Cemetery, Smyrna, Delaware. Isaac (3) and Sarah had 4 children together. Isaac (3), after Sarah's passing, then married " Amanda K. Knotts " on May 9, 1891 in Delaware. She was born on July 23, 1868 the daughter of George W. Knotts and Deborah Berry Knotts. They had 1 child together. Isaac (3) passed away at the age of 67 on January 8, 1909 and was interred in the Glenwood Cemetery, Smyrna, Delaware. Amanda passed away at the age of 47 on April 3, 1916 and she was interred with her husband at Glenwood Cemetery. ( 13 ) ~ James became a Doctor in Baltimore, Maryland and married " Carrie _____ " and they had no known children. James Thomas Truax (5) was born the 4th child and 3rd son of James S. Truax (1) and Mary Patterson Truax in 1845 in Delaware. He married " Mary Emma Nelson " more than likely in Delaware. Her parent's names are currently unknown. ( 18 ) ~ J. Fletcher married " Elva Armstrong " and they had no known children. ( 19 ) ~ James " Margaret J. _____ " and they had no known children. Samuel P. Truax (6) was born the 5th child and 4th son of James S. Truax (1) and Mary Patterson Truax on March 8, 1847 in Delaware. He married to " Elizabeth J. Mitchell " on January 18, 1870 in Smyrna, Delaware. She was born on 1847 the daughter of Robert Mitchell and Hester Mitchell who resided in the Smyrna, Delaware area. They resided in the Wilmington, Delaware area after their marriage. Samuel (6) passed away at the age of 67 on September 25, 1914 and he was interred in the Silverbrook Cemetery, Wilmington, Delaware. Elizabeth passed away at the age of 79 in 1927 and was also interred in the Silverbrook Cemetery, Wilmington, Delaware. They had 4 known children together. 30. John W. Truax ~ b. 1872 ~ d. ???? 33. Bertha M. Truax ~ b. 1878 ~ d. ???? ( 30 ) ~ John ~ nothing further is known. ( 32 ) ~ Harry ~ married " Clio C. _____ " and it is unknown if they had children. Mary Emily Truax (8) was born the 7th child and 2nd daughter of James S. Truax (1) and Mary Patterson Truax on January 30, 1851 in Delaware. She was married to " William E. Riggs, Jr. " on January 18, 1877 in Kent County, Delaware. He was born on January 18, 1854 the son of William E. Riggs and Sarah M. Sevil Riggs. William passed away at the age of 42 on June 3, 1896 and he was interred in the Odd Fellows Cemetery, Smyrna, Delaware. Mary (8) passed away at the age of 68 in March 23, 1919 and was interred with her husband. They had 3 known children together. 34. Annie Ethel Riggs ~ b. ca. 1879 ~ d. ???? 35. 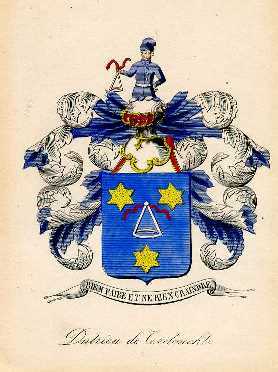 Caroline R. Riggs ~ b. ca. 1885 ~ d. ???? 36. Mary T. Riggs ~ b. ca. 1888 ~ d. ???? Lavina Riggs Truax (11) was born the 10th and last child and 4th and last daughter of James S. Truax (1) and Mary Patterson Truax in April 17, 1861 in Delaware. She was married to " George Reed Lofland " on February 3, 1881 in Kent County, Delaware. He was born in 1857 the son of Dr. Mark Greer Lofland and Emma Frances Davis Lofland. They resided in the Smyrna, Delaware area and had 3 known children together who all passed away before they did. Their first born child, Mark (37), passed away at the age of 5 months and he was interred in the Saint Peter's Cemetery, Smyrna, Delaware. Their daughter daughter Emma (38) passed away at ten years old and she was also interred in the Saint Peter's Cemetery. Their daughter Helen (39) married " Victor W. Smith " and she passed away due to what was believed to be childbirth and she was also interred in the Saint Peter's Cemetery. William Hargadine Truax (12) was born the 1st and only child of John S. Truax (2) and Sarah �Sallie� Hargadine Truax Hoffecker on January 30, 1865 in Delaware. At some point it seams that William moved to Brookfield, Missouri as he is noted on his marriage certificate as residing there. He married " Katherine D. Brott " on May 27, 1886 in Brookfield, Missouri. Katherine "Katie" was born on December 28, 1864 in Tennessee and was the daughter of Elijah Crandall Brott and Frances E. Vickery Brott. ( 40 ) ~ Georgie married " Fred E. Warrington " in 1912 and it is unknown if they had any children. ( 41 ) ~ John passed away at the age of 23 and is believed to have never been married. ( 42 ) ~ Sarah passed away at the age of 81 and is believed to have never been married. Frank Truax (20) was born the 3rd son and 3rd and last child of James Thomas Truax (5) and Mary Emma Nelson Truax on August 25, 1884 in Delaware. He married " Avis Griffin " and together they had 11 children together. The birth order of the children has not been verified. Their daughter Frances (54) passed away while an infant in 1913. She was interred in the Odd Fellows Cemetery, Smyrna, Delaware. Their son John (55) also passed away while an infant in 1915 and he was also interred in the Odd Fellows Cemetery. Their son Paul (57) passed away at the age of 5 in 1922 and was also interred in the Odd Fellows Cemetery. Frank's (20) wife Avis passed away in 1926 at the age of 40 and was interred in the Odd Fellows Cemetery, Smyrna, Delaware. Frank (20) passed away at the age of 66 on March 4, 1951 and he was interred with his wife. Their son Homer (53) married " Beatrice Marshall " who was born in 1921 the daughter of James H. Marshall and Estella Marshall. It is unknown if they had any children. Beatrice passed away in 1981 at the age of 60 and was interred in the Sharon Hills Memorial Park, Dover, Delaware. Homer (53) passed away in 1993 at the age of 81 and was interred with his wife. Samuel Gilbert Truax (31) was born the 2nd child and 2nd son of Samuel P. Truax (6) and Elizabeth J. Mitchell Truax on August 24, 1874 in Delaware. He married to " Mattie Virginia Smith " on June 4, 1902 in Delaware. She was born on September 8, 1878 in Barclay, Maryland. They resided in the Wilmington, Delaware area after their marriage. ( 70 ) ~ Ralph ~ married " Odelia Mabel Vest " in 1934 and they are believed to not have had any children. James T. Truax (51) was born the son of Frank Truax (20) and Avis Griffin Truax in 1907 in Delaware. He married " Mabel Baker " and they resided in the Smyrna, Delaware area together. Dolores Truax (52) was born the daughter of Frank Truax (20) and Avis Griffin Truax in 1908 in Delaware. She married " James Thomas Tribbitt " in 1925 and they resided in the Smyrna, Delaware area together. James was born the son of Robert T. Tribbitt and Rhoda May _____ Tribbitt in 1905. They had three known children together. Their son Eugene (82) joined the Navy and was never married. While still in service he passed away in 1948 at the age of 21 and was interred in the Odd Fellows Cemetery, Smyrna Delaware. Dolores' (52) husband James passed away in 1977 and he was also interred in the Odd Fellows Cemetery, Smyrna Delaware. Dolores (52) passed away in 1992 and was interred next to her husband. Edward "Elwood" Marshall Truax (59) was born the son of Frank (20) and Avis Griffin Truax on August 29, 1923 more than likely in Delaware. He was married twice. He was married first to " Luccille Lula Hurd " who was from North Carolina on October 11, 1944 in Wilmington, Delaware. It is unknown at this time if they had any children together. Edward was later married second to " Ruth Tribbitt " and they had two children together. He later had a relationship with " Claudia Alafair Robinson " to whom he was not married and had one child. Claudia has two other children that were not part of this union, Charles Richard Scott and Bonnie Gaye Scott. Other area's of Edward's (5) life are currently unknown, however he was know to live in Delaware. 85. Donald Truax ~ b. ?? 86. Rose Truax ~ b. ?? Claudia's children: Bonnie Gaye Scott married " Edwin Robinson " and she passed away. She was cremated and her ashes were spread on her families farm near Blackbird, Delaware. 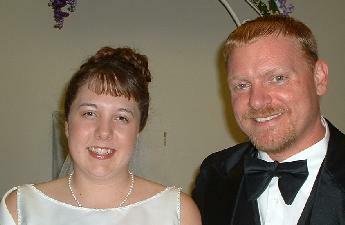 Charles Richard Scott currently resides in Smyrna, Delaware and is married to " Dale _____ ". Charles and Dale have 3 children together: Jeff, James and Donna. Avis Truax (80) was born the daughter of James T. Truax (51) and Mabel Baker Truax on May 16, 1928 in Delaware. She married " Harlyn E Reese " and they resided in the Smyrna, Delaware area together. Family Notes: Harlyn (88) and Bonnie (89) both reside in Delaware. Gerald Hawkins Truax (87) was born the son of Edward "Elwood" Truax (59) and Claudia Alafair Robinson on February 15, 1950 in Delaware. He married "Evelyn L. Underwood" who was born the daughter of Robert Allan and Veronica Burke Underwood on May 13, 1955. His marriage to Evelyn ended in divorce and she later was remarried to Carl Wooldry. She passed away on December 6, 2001 and is interred in Glenwood Cemetery, Smyrna, Delaware. Jeremy Christopher Truax (100) was born the son of Gerald Hawkins Truax (87) and Evelyn L. Underwood Truax on June 26, 1972 in Wilmington, Delaware. He met and started a relationship with "Kelli Marie Hanshaw" which led to their marriage on October 23, 2004 in Cheswold, Delaware. Kelli's step-father, Russ Pickett, performed the wedding ceremony. Kelli was born the daughter of Kevin Lynn and Karen Lorraine (Hodge) Hanshaw on September 5, 1982 in Rochester, NY. Samantha Madison Truax (126) was born in Suffolk, Virginia. Hannah Joyce Truax (127) was born in Dover, Delaware.